STI Forums > GR Series STi Discussion (2008+) > GR-Members' Journals > GR Hatch: Don's 08 STI. STI Hatchback/Wagon or bust! Don's 08 STI. STI Hatchback/Wagon or bust! I've always liked rally inspired vehicles. Back in 94, I've owned a very rare IMSA Champion edition Toyota Celica All Trac turbo 1988. I've always been a Toyota guy. But Toyota hasn't built anything exciting in the past 12 years. I grew up exposed to the Japanese car culture as a high school teenager and as a twenty-something the Cali import scene. Basically I put this car together of what I liked from both scenes. From 2001-2007, I was stationed in Japan. I was driving down Route 16, taking the long way home to Atsugi from Yokota. 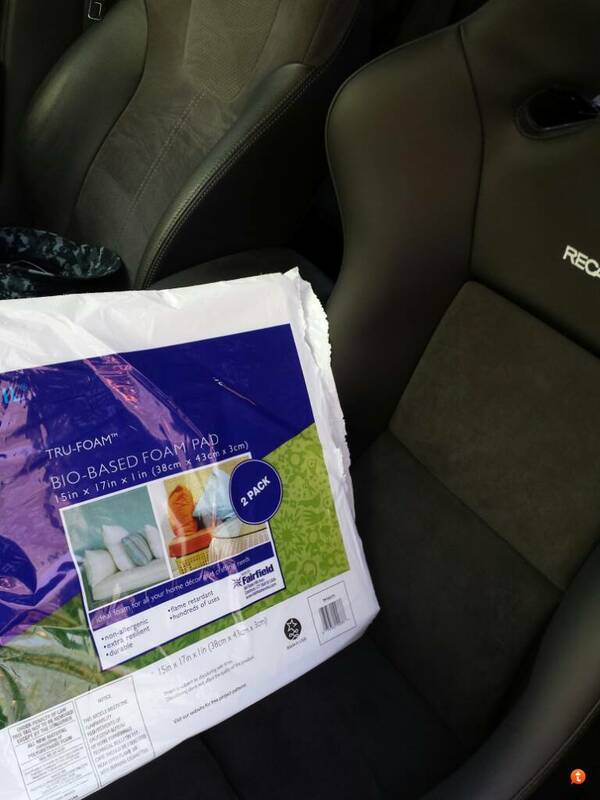 I told my wife that I wanted a Subaru Impreza STI, but I wanted it only in Wagon or Hatchback form. I didn't know much about Subaru and have only scene the 2 door and 4 door sedan. A few seconds later, a Bugeye STI Wagon drives past us going in the opposite direction and I said, "I want something exactly like that"! Fast forward 2008. As soon as I report to my new command, they cut me orders to go support the efforts in Iraq as an Individual Augmentee. I do my time for a year and return to Cali to finish my obligation. I knew the Hatchback had just came out but I wasn't even thinking about getting a car. More like getting re-accustomed to living back in America. My wife says ,"let's go get your car you wanted". I looked at her surprised and excited and said, " I love you". I bought a fairly new used 2008 STI in March 2009. I've had the car for a while but it spent most of it's time in storage as I did move out to Guam for 3 years. I started this journal a little late, but I thought it's about time I start one. I'll just go with what the car has on now and what will be done. I'm not looking for big power, I'm about enjoying a well balanced machine. 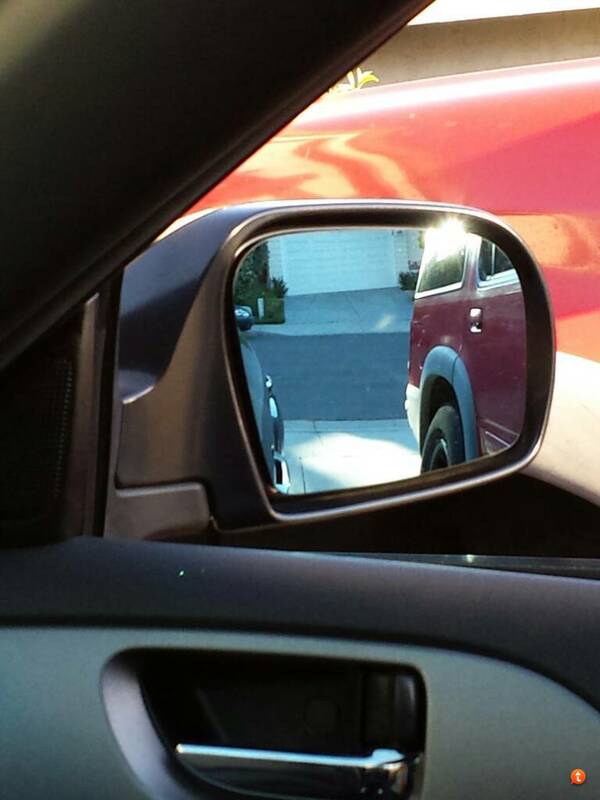 Prova side mirror convex overlays. 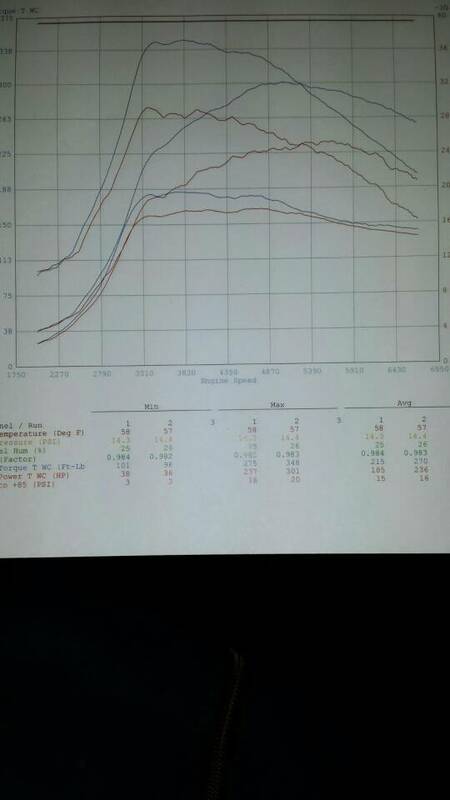 Calibration performed by Bill Knose of Delicious Tuning at Infamous Performance Mustang dyno. Installed DW65C Deatschwerks fuel pump and new assembly. 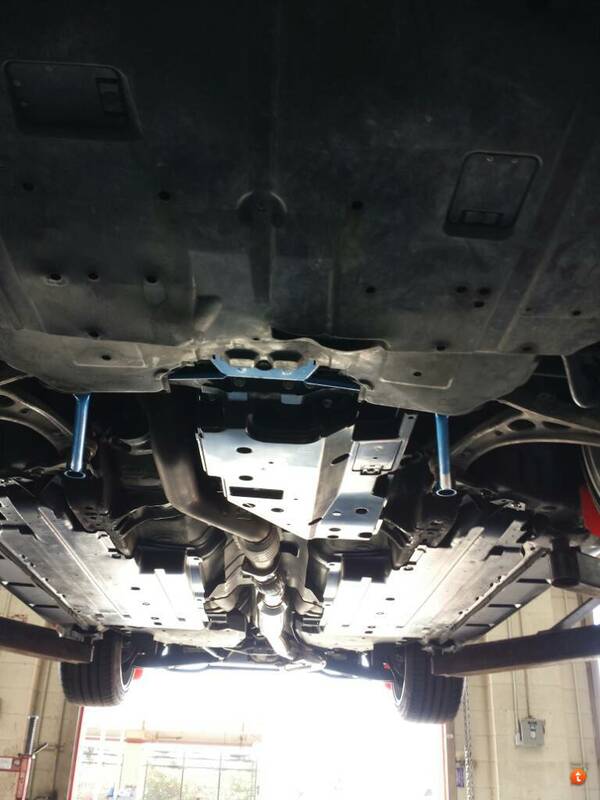 Installed JDM transmission under panel, removed Tanabe underbrace, and installed Cusco type1 underbrace. Installed Moddiction blue convex side view mirror overlays. Last edited by STIGR-Wagon-Dad; 04-15-16 at 10:26 PM. Re: Don's 08 STI. STI Hatchback/Wagon or bust! Nice setup, came from Toyotas myself. Used to have a ST162 followed by a MA70, was actually hunting for a clean ST165 or MA71 when the hatch came out. Bought mine in 2009 bone stock and have been slowly working on it ever since (sea duty and deployments do have a way of taking up time). 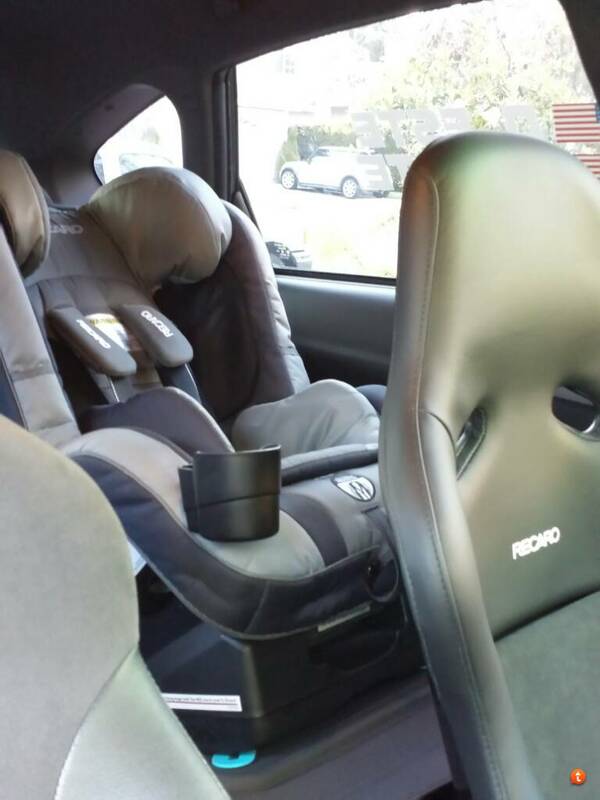 Had a Recaro Perfomance Sport booster seat for my daughter myself. Looks like you're off to running start, look forward to following your build! Cool! I'm looking for another AE86. Perhaps an AW11, MA60, ST165 or 185. Where do you go for your Subaru stuff and services? The place I used to to go to no longer exists in San Diego. If you go old school Toyota or any vintage import, check out my friends shop Elee Motorsport. Eugene knows his Toyotas. I want to drive another Toyota. My Subaru may be faster, but the older Toyotas had much better feed back and road feel. I take my car to Frank Subaru for regular services, customer service is great, prices are good and their tuner friendly. I'll have to check out your buddies shop, my first car was a Copper TE70 I had set up on Cressida steelies. Been looking for a clean(ish) one for a project car but no luck so far. Always been a fan of the MA60, knew a few guys that swapped in the 7M-GTE and were putting down some good numbers. You hit the track or Qualcomm with the GR yet? No, not yet. Mostly spirited mtn runs. I want to try some day. You could run stock intake, and stock air filter with the SYMS Intake Snorkel right? Stock box. 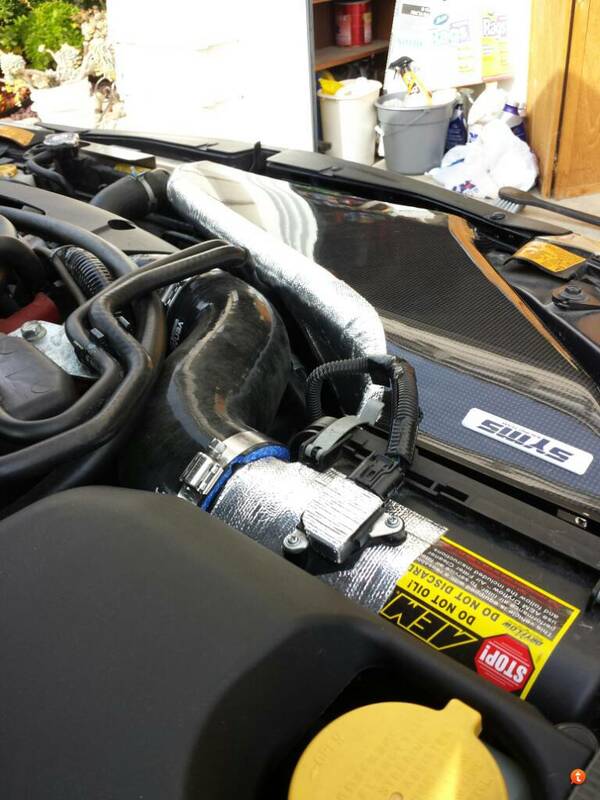 It replaces the front half of the air box, resonator, and scoop. Last edited by STIGR-Wagon-Dad; 04-18-14 at 05:15 PM. What do you mean by "resonator"? Are you referring to that "milk-jug" air silencer? It shouldn't void the warranty right, especially if I plan to use the stock intake? Also, did you purchase it from the SYMS website? Yup, the resonator(technically called a helmholtz resonator) is that milk jug looking thing attached to the factory air box. 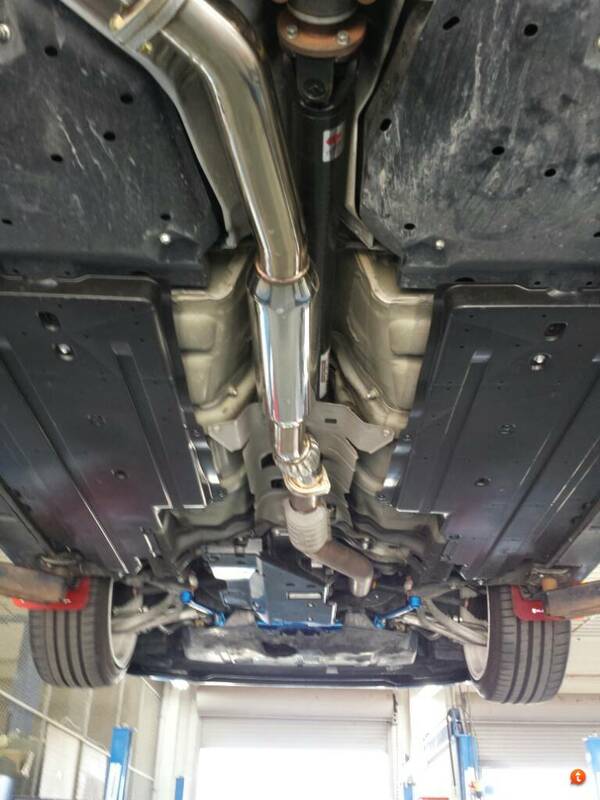 As far as warranty is concerned, I don't know, but it is an aftermarket intake piece that requires the use of the stock airbox half with the MAF housing, so it could give you some trouble. I had japanparts.com put it on their website so i could order it through them. 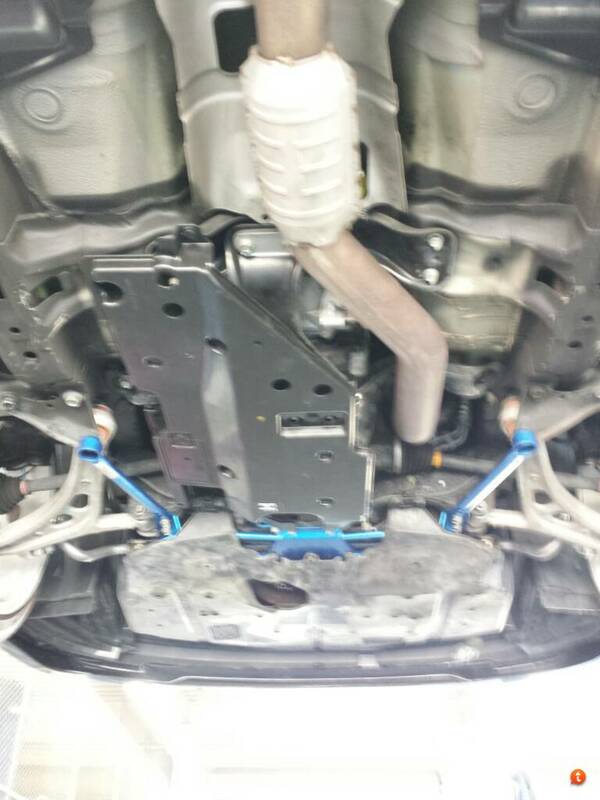 They put it under the strut bar section for some strange reason. So I decided to go ahead and install the transmission underpanel and my Cusco type 1 underbrace to supplement my Tanabe Racing underbrace. The tanabe bar had to be removed in order to install the transmission panel. Unfortunately, the tanabe bar couldn't be installed with the panel. Luckily, I had the cusco bars. It complemented my quest to flat-bottom the undercarriage as the bars mounted front to back opposed to side to side like the tanabe.